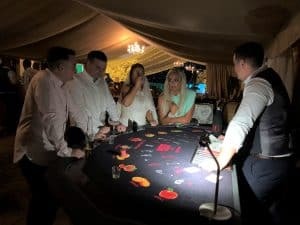 Totally bespoke to us, this new and unique cocktail tasting experience is mixed into a casino table. 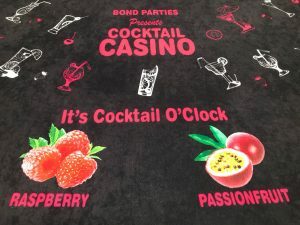 In this battle of the taste buds can you beat your friends or colleagues by guessing the type of fruit in each cocktail? 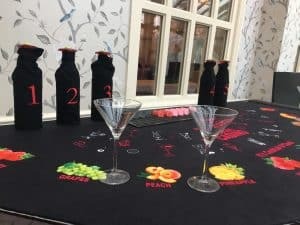 Guests chose a numbered cocktail bottle by picking a card. 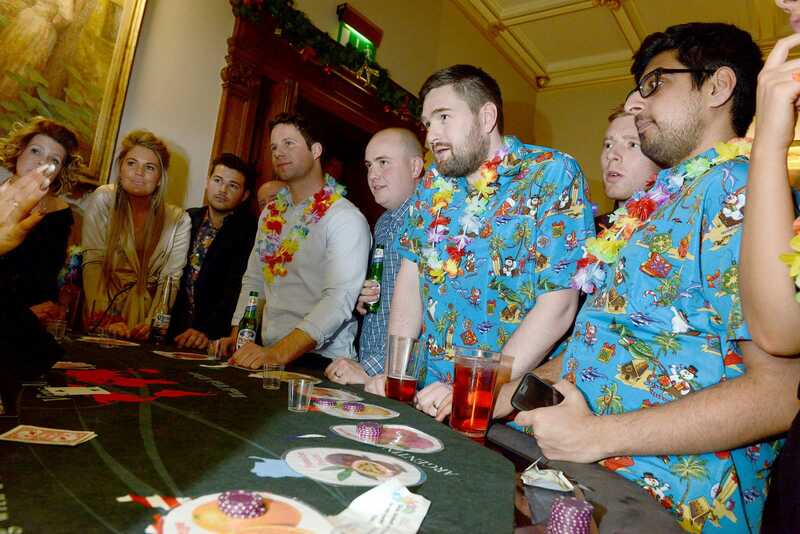 They then sample the cocktail chosen and place their bets on the fruit they believe is contained in the cocktail. 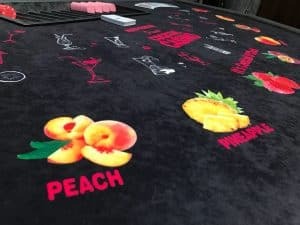 Taste a wide selection of delicious cocktails containing apple, orange, peach, pineapple, grapes, kiwi, passion or many other fruits. 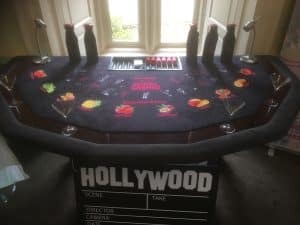 Find out who knows their cocktails a little too well at your party or event! 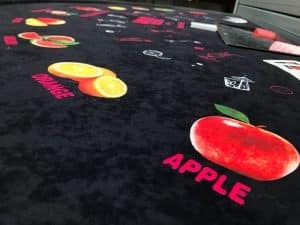 How good are you at telling the difference between the different fruit flavours in the drink? 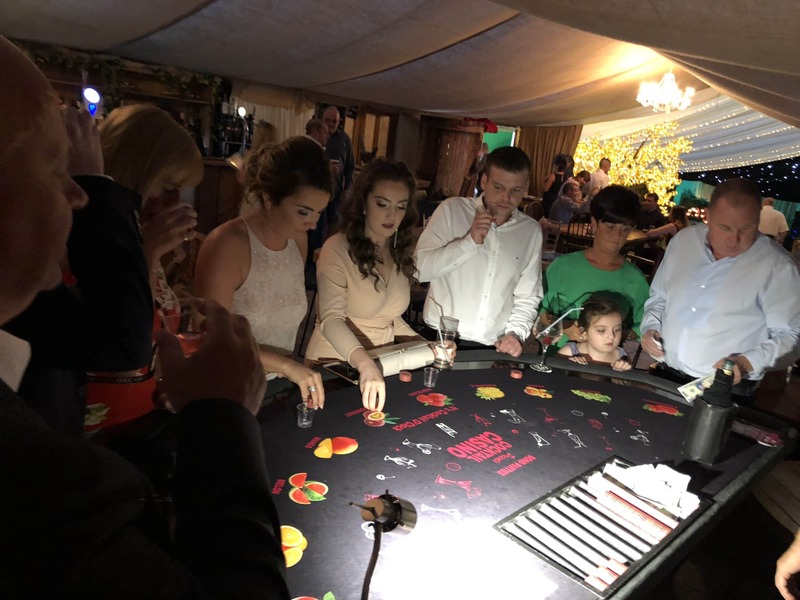 Just like our Wine Tasting Casino table this attraction is a lot of fun – gambling and drinking together and not losing any real money! 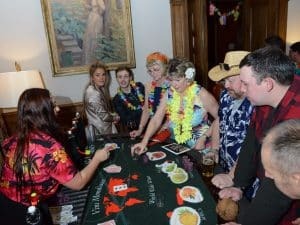 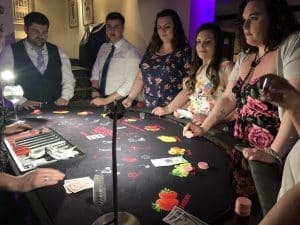 A hugely entertaining game that will enhance any Dinner Party Casino, 007 Theme Night, Corporate Casino or Hawaiian Night or Christmas Party. 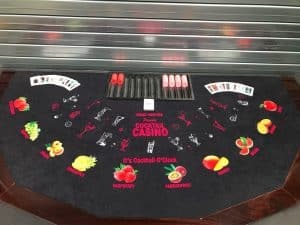 Our Cocktail Tasting Casino game is available across the UK along with our standard casino tables and games. 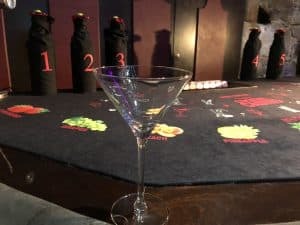 Alcoholic and non-alcoholic versions are available.